Pedro better known as AMOS is a Miami native who launched his graffiti career in 1994. His art originated in the streets of his hometown. AMOS subsequently took his hobby to freight trains, transporting his name and unique style from one end of the continent to the other. AMOS’s affinity for creating fresh graffiti has taken him across the world leaving his name in places such as Paris, Detroit, Costa Rica, Brazil, and New York City, to name a few. 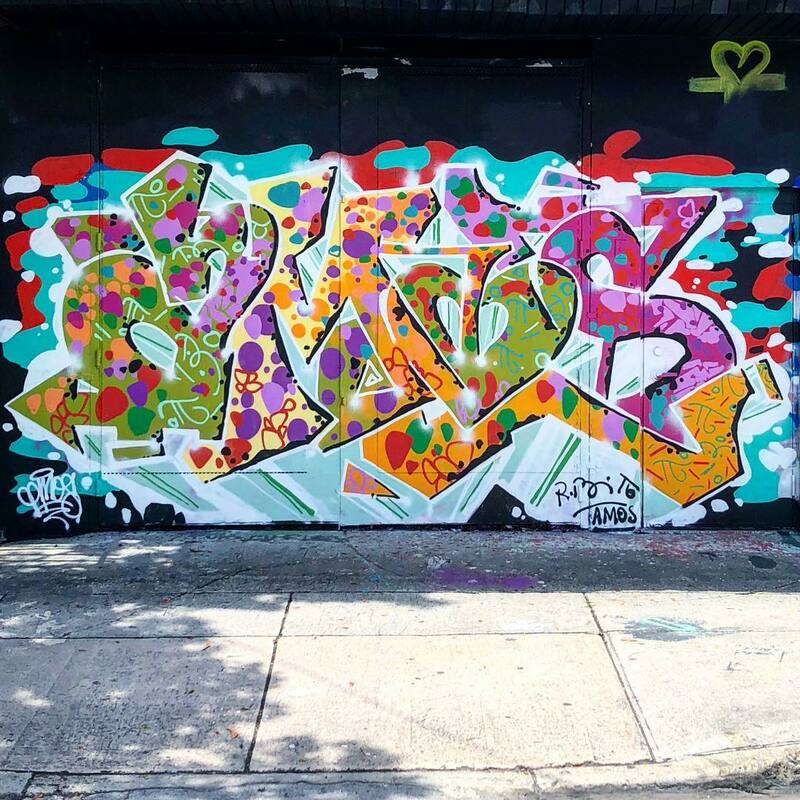 AMOS’s approach to the use of color, distinct letter style and willingness to go all out has earned him the respect and admiration of peers in both the immediate and distant graffiti world.